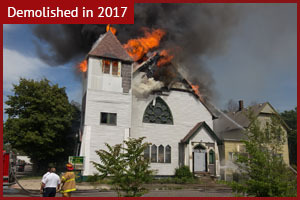 The former Bethany Lutheran Church was abandoned and burned down in 2016. 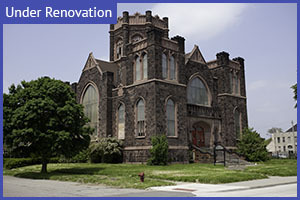 Redeemer Presbyterian was a former Episcopalian Church in Detroit that closed in 2012 to make way for a hospital center. 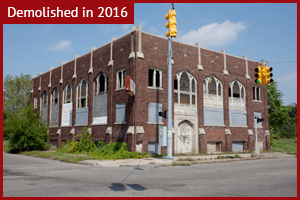 New Glacier Church was a vacant church on the east side of Detroit. 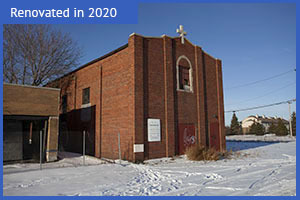 After a long period of abandonment, the church was demolished in 2016. 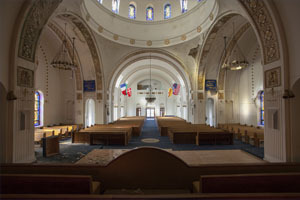 St. Rita Catholic Church has undergone weathered several periods of abandonment since closing in 2008, but it currently occupied. 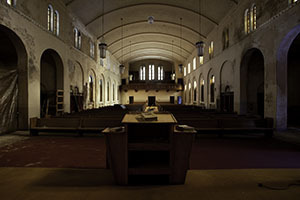 St. Ruth's is a small church east of Highland Park that has been home to several congregations over the years and is currently abandoned. 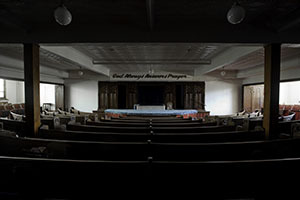 Tried Stone Baptist Church was a former synagogue in northwest Detroit that was abandoned in 2012. It is now being renovated by a community group. A former synagogue that was later converted into a Baptist Church. After being briefly vacant, the church has since reopened. Sts. Constantine and Helen Greek was an Orthodox church on the west side of the city which has been converted into a youth center. Our Lady Gate of Heaven was a Catholic church on the west side of the city which merged with another parish and closed. 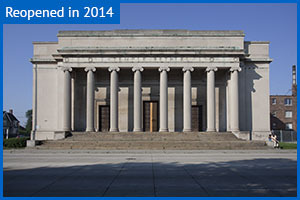 It reopened in 2013 with a new congregation. 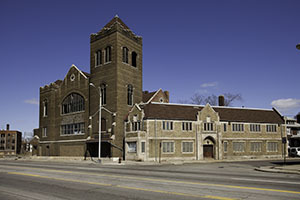 Woodward Avenue Presbyterian is an historic church on Woodward avenue in Detroit, built in 1911. 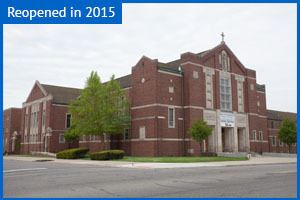 St. Margaret Mary Catholic Church was a parish located on the east side of Detroit. 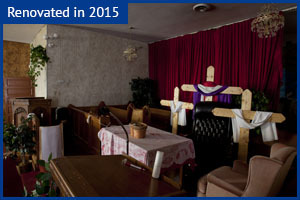 It later became a Baptist Church before closing in 2012. 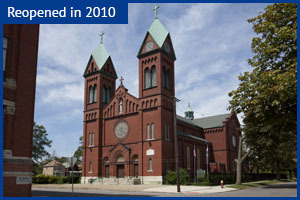 St. Anthony is a Catholic Church located in Detroit, MI. 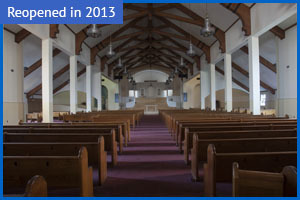 Built in 1901 by German settlers, St. Anthony closed in 2006 due to lack of parishioners, but has since reopened. 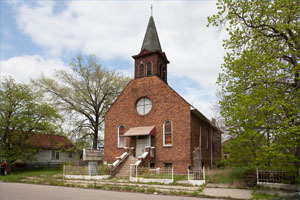 St. Agnes Catholic Church is one of the most well-known abandoned churches in Detroit. 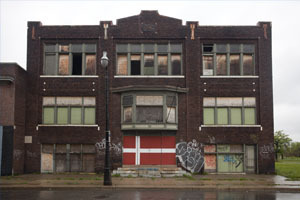 It was built in 1921, and abandoned in 2006. 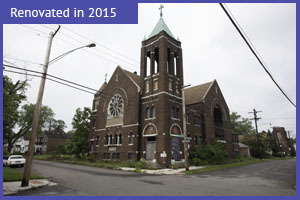 Visitation Catholic church was established in 1919, and a permanent location on Webb Street was completed in 1925. It closed 1989, and was abandoned in 2005. The former Temple Baptist Church, and later, King Solomon Baptist Church played an important role in the fledgling civil rights movement. 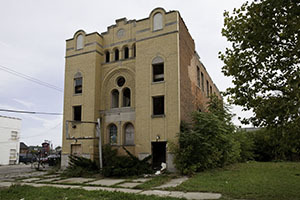 One of several abandoned synagogues located in Detroit, left behind by the shrinking Jewish population. 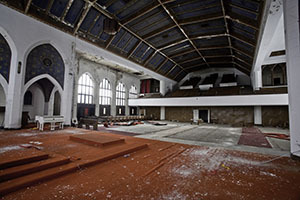 The abandoned Abundant Life Christian Church, located on Grand River boulevard in Detroit. It has been closed for some time and was damaged by fire in 2009. Epiphany Episcopalian is former church on the city's east side built in 1904. 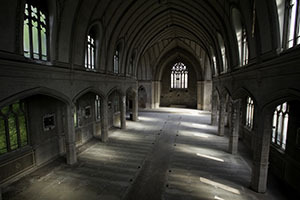 After being abandoned, the church has since reopened. 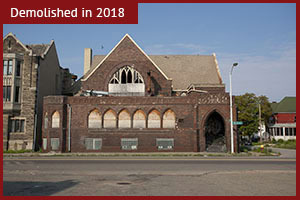 East Grand Boulevard Methodist Church is an abanonded church located at Grand and Gratiot in Detroit. 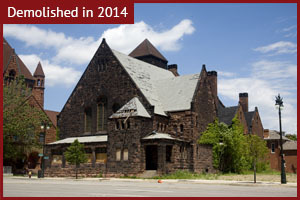 First English Evangelical is an abandoned Lutheran church in central Detroit. 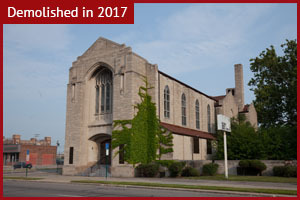 The First Unitarian Church, located on Woodward avenue just west of downtown, was built in 1890 to serve the city's growing Unitarian congregation. Word and Faith Christian Center is a former Salvation Army building. 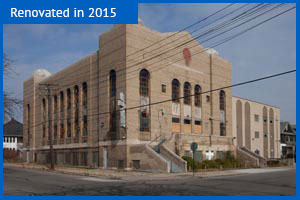 It was used as a rental hall until its closing and abandonment. The Danish Brotherhood Hall was originally a meeting place for Danish immigrants, and later became a church. It was abandoned in 2001. 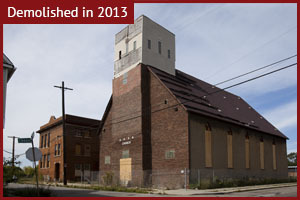 St. Thomas Lutheran was a vacant church on the east side of Detroit. It's currently being renovated. 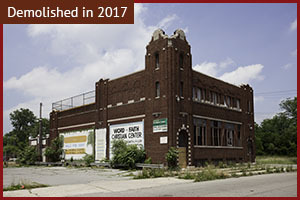 An abandoned branch of the Universal Hagar Spiritual Church located in eastern Detroit, demolished in 2013. 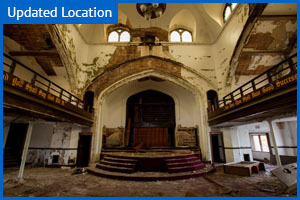 The Starlight Temple of Truth is an abandoned church located in the historic Detroit neighborhood of Brush Park. 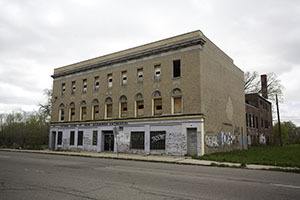 As recently as 1995 this building was home to a youth program called Youth Enrichment Is Success, but has since been abandoned.